This was a particularly hard week for me, but after some much needed days off, I'm back to chipping away at the grindstone. Anyhoo, here we are, another week has come to it's conclusion and here are my favorites of the week. I go through body butters like there's no tomorrow. The one I'm using now is the Wild Madagascar Vanilla Ultra Shea body butter from Bath and Body Works. This smells like grownup cupcakes. It's vanilla but with a hint of deep amber. So perfect for this time of year. Lately I've been loving these healthy fig bars for breakfast. These are all natural, dairy free, fig newtons basically. I was buying them at a local grocery store for .99 cents a piece but found a 36 pack at Costco for $11. Score! Try the limited edition Pumpkin Spice one if you want what's virtually a healthy piece of pumpkin pie! I bought this foot masque after one particularly long day at the coffee shop. You rub this thick mask by Heel to Toe all over your feet, cover with a warm wash cloth and wash off after 10 minutes. The mint in the mask leaves your feet feeling really refreshed and the oils leave your feet feeling really soft. It's the ultimate addition to any spa night. This Colourpop super shock shadow in the shade Nillionaire has been my favorite to add a little festiveness to all my eye looks recently. I love the shimmery bronze for the center of my eyes or all over my lids for a quick and pretty look. 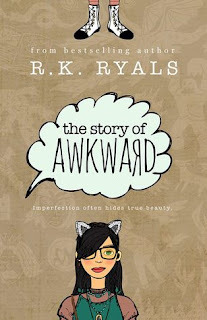 I've been reading a ton lately and I loved this book by R.K. Ryals, the story of Awkward. 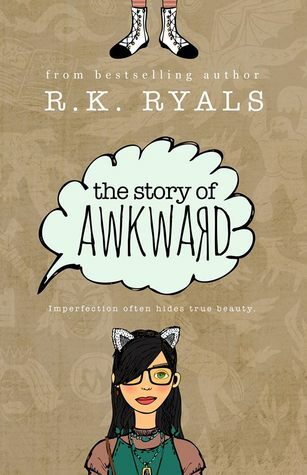 This is essentially a grownup fairy tale about learning how to be happy with what you have, no matter how awkward it may be. It was a fun read with a good lesson thrown in. I hope everyone has a wonderful weekend! Let me know what you've been into lately. *eShakti kindly gifted me a coupon code to give you guys. If you're interested, enter "thethirtysomethinglife" in the promo code for 10% off between now and 12/13/2015. Happy Friday!!! Oh Kim sweetie I'm so sorry your week was yucky! I am praying that you get some relaxation this weekend and you're feeling back to your glorious self! Fun round up today girl! That book looks really fun, I really like books when there's a nice message involved! I hope your weekend is full of glorious love, lots of laughter and good times my beautiful friend! I hope your weekend goes better than this week Kim, relax and enjoy yourself! That foot mask sounds amazing and I think I would really enjoy that book. Have a great weekend my beautiful friend! that eye shadow is stunning! I just started using colorpop cosmetics and I fell in love! They are so great!